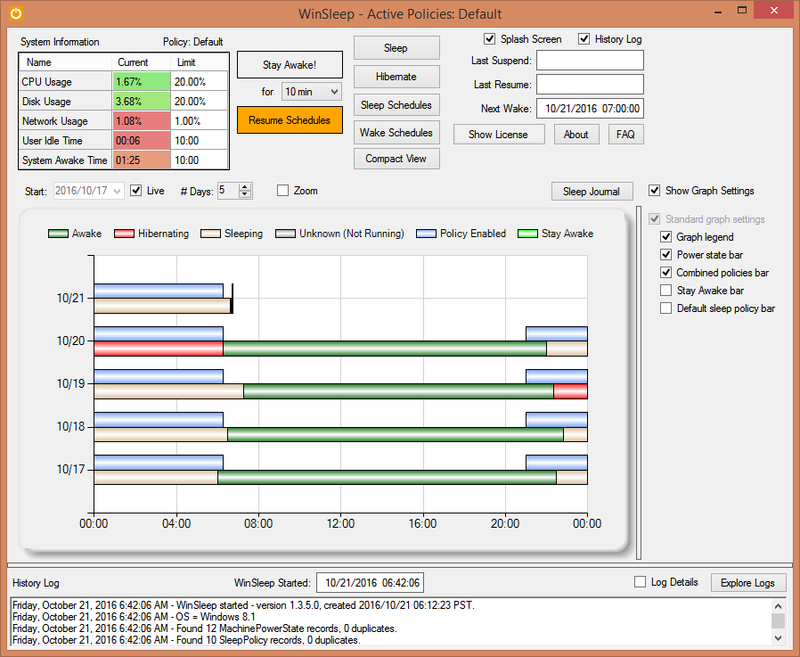 windows sleep program, saves electricity, schedules sleep by usage, graphic timeline, computer sleep periods, wake schedule taskcomputer was asleep or awake over the last several days. Define wake timers and tasks. Windows 7, 8.1 or 10. More info at molliesoft winsleep.